Micromax A110 Canvas 2 which is Micromax’s highly popular smartphone ( superfone ) . Micromax A110 canvas 2 comes with lots of cool specs . Micromax A110 is also known as CANVAS 2 . Micromax A110 runs on MT6577 Dual core Cpu of 1GHZ frequency . Micromax A110 runs on Android 4.04 ICS but you can easily upgrade it to Android 4.1 Jelly bean . Initially the time when it was launched its Price was around Rs 9,700 but now if you want to buy Micromax A110 then you need to pay Rs 10,999 . At the Top-front there are bunch of sensors with notification LED & front facing camera , below that there is 5inch Capacitve Display having resolution of 480×800 . Just below the screen there are 3 touch sensitive buttons . Micromax A110 has 8MP rear camera which you can record 720p resolution videos . Overall Look of Micromax A110 is nice specially when you hold it in your palm . Micromax A110 runs on MTK Dual core Cpu chipset . There is 8MP camera at rear & 0.3MP at front . Canvas 2 has following sensors – proximity, G- sensor , orientation . Built quality of Micromax A110 Canvas 2 is nice but not better then Gionee G1 Gpad . 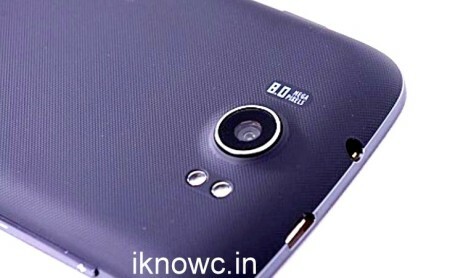 Well Micromax A110 Canvas 2 has 8MP rear camera & 0.3 MP front . Camera of the device can record 720p videos at 30fps & can capture images of 8MP resolution . Quality of the camera is good but not very good . Camera does have touch to focus capability too . Gaming on Canvas 2 is nice , but you cannot play much graphics intensive games on the phone as only 0.5 GB is available for installing apps . Gaming on Micromax A110 is felly smooth . Canvas 2 can easily play games like – Temple run , angry birds , raging thunder & many others . 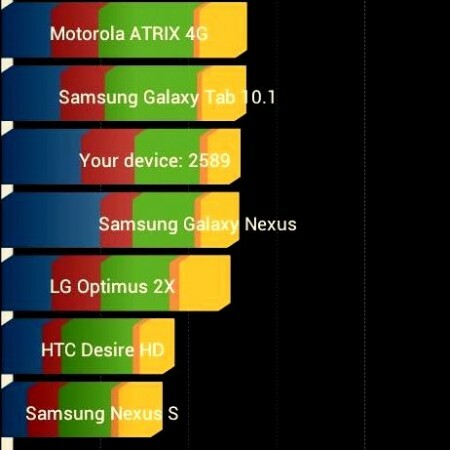 Overall the gaming performance on Micromax A110 Canvas 2 is smooth . 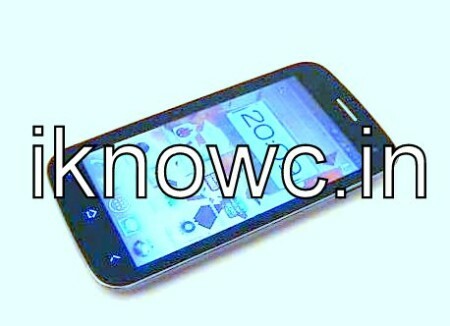 Micromax A110 Canvas 2 has MTK6577 1GHZ Dual core CPU with PowerVR SGX 531 GPU & 512MB of ram . Performance of MIcromax A110 is better than A100 & A90 . 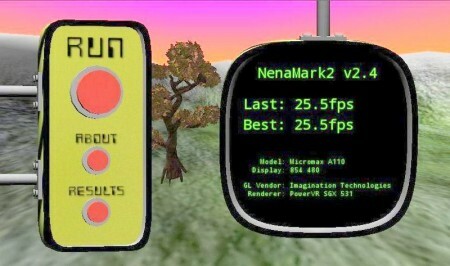 The device runs smoothly without any kind of major lag . While performing multitasking on Canvas 2 , user may feel minor lag . I think this is because the device is not tweaked properly . Overall performance of Micromax A110 Canvas 2 is smooth . You can upgrade Micromax A110 to Android 4.1 to boost it even more . Canvas 2 has 5inch Capacitive display of 480X854 resolution . Display is nice and bright but not that much sharp . Colours are vivid and nice . Micromax A110 Canvas 2 comes with 5inch IPS display having resolution of 480X854 . A110 Canvas 2 is powered by 1GHZ MTK Dual Core processor and has 512MB ram . The device does have 4GB ROM . Micromax Canvas 2 does have Dual SIM capability , so you can insert one 3G and One 2G SIM cards . A110 Canvas 2 has 8MP rear camera & 0.3 MP front Camera . A110 comes with all standard connectivity options like – Wifi 802.11b/g/n , 2G , 3G , Bluetooth ,GPS , USB 2.0 . Micromax A110 canvas 2 is powered by 2000mAH battery . There is also a nitification LED at the top of the device . 1. Gionee G1 Gpad – Gionee G1 Gpad also has MTK Dual Core Cpu and has 512MB of ram . Gionee G1 Gpad is better than Micromax A110 . Harware quality of Gionee G1 Gpad is better when compare to A110 also G1 Gpad has light sensor which is missing on Canvas 2. To know more you can check review & unboxing of Gionee G1 Gpad . 2. Celkon A119 – Celkon A919 is also a very cool android device from celkon having Dual core processor and 12MP rear camera . The device has 1GB ram . 3. UMI X1s – Umi X1s comes with MTK6589 Quad core processor . Umi X1s price is Rs 10,500 . 4. XOLO B700 – Xolo has 3450mAH battery which claims talktime of 23hours . Xolo B700 comes with 4.3inch qhd screen and 5mp camera at rear . 5. Micromax A91 NINJA (new) -Micromax A91 Ninja runs on Dual core Cpu and has 512MB ram . Micromax A91 has 4.5inch capacitive display of 854X480 resolution . You can BUY Micromax A110 From Flipkart .